Q: How do I output my videos so that they are under 100 MB? Q: How do I caption my video? Q: What's the difference between subtitles and captions? A: Subtitles simply translates between two spoken languages. Captions are subtitles that also include audio descriptors for deaf and hard of hearing viewers. Captions include audio information such as [phone rings], use of musical notes indicating music or describing noises that happen off camera. A good test is to turn your sound off while testing your film to see if your captions are providing all of the audio information. You can learn more by searching "captioning style guide" on the internet, or watching closed captions on your television. Q: Why do I need to caption my film? 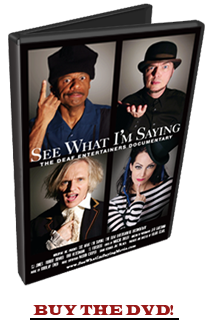 A: There are nearly 30 million deaf and hard of hearing Americans, most of whom don't have full access to entertainment, media and online video information. 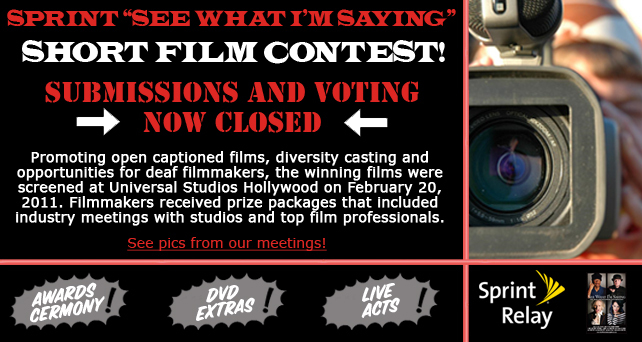 This contest is helping to create awareness about the importance of captioning through a fun and creative outlet while encouraging filmmakers from all backgrounds to make great films that are accessible. Q: What if I want to use my own music? A: That's great! If you win, you will have to sign a release stating you own all the rights giving permission for the music to be used. Q: What if I want to use a film I already made? Can I use this for other things? A: You can use any footage you have the rights to, as long as it satisfies the rules of including "see what I'm saying" in the video, has captions, is family friendly and includes the Sprint logo at the beginning of the film. You maintain ownership of your film and can use it any way you like - you're just giving us permission to use it as well. 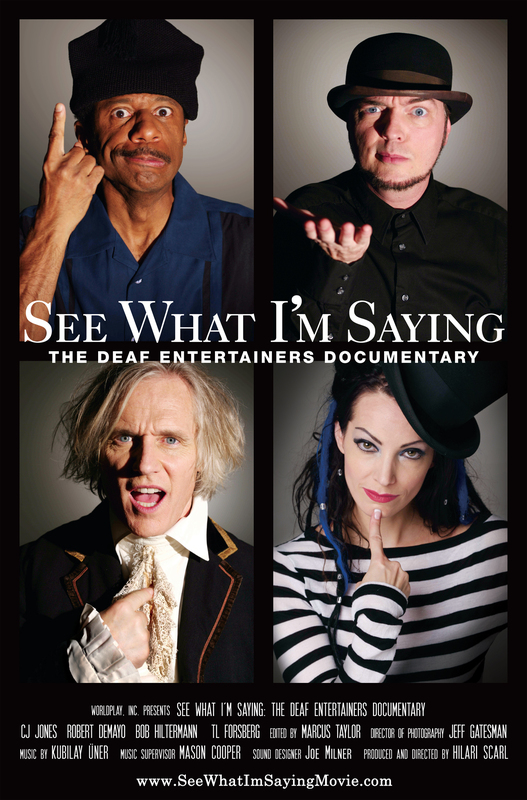 If your video includes the "See What I'm Saying" song by Powder, you will have to obtain permission to use it for any other purpose. Q. What about obtaining clearances? A. The winners will have to sign a release saying that they own the rights to all of the footage and music (if any original music is used) as well as permission for any actors/personal appearances. The winners must state that the work is their own and doesn't infringe upon any other rights. The films must fully qualify and be cleared in order to win. If in doubt, please ask and we'll try to get back to you in a timely manner. Q: I uploaded my video but I don't see it. A: The administrators have to approve each video to make sure it fits within the contest rules. Please be patient as it may take up to two days to be approved. Make sure that your video follows all of the rules (that it is family friendly, under 3 minutes, captioned in English and includes the line "see what I'm saying." See the rules page for more details.) Also check to make sure your file size is under 100 MB. Q: I have a specific question and I don't see the answer anywhere on the website.